165. Circular into rectilinear motion. 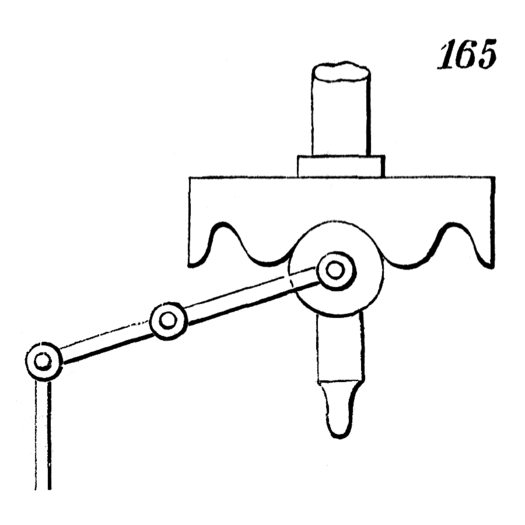 The waved-wheel or cam on the upright shaft communicates a rectilinear motion to the upright bar through the oscillating rod.